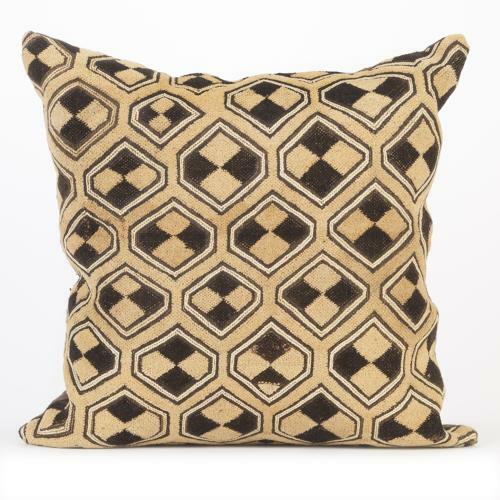 Cushion made from vintage Kuba raphia cut pile cloth. With hand dyed brown hemp back, zip closure and feather pad. Can be viewed in my studio in Purley by appointment or please ask for a shipping quote.